You can do so many amazing things using the Oculus Rift, which is a virtual reality headset for a more immersive gaming experience. You can do stuff like play Sonic the Hedgehog from a first-person perspective. That’s pretty amazing. Well, you can also do some mundane things with it too. One modder has created a mod for the Oculus Rift that allows gamers to experience the thrill of playing the Nintendo Game Boy. Wow. Hope you don’t have any serious heart conditions. 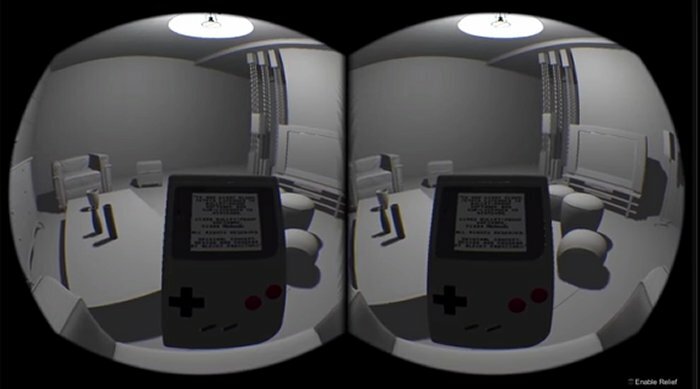 The mod puts you in a living room with a Nintendo Game Boy in your hands. Well, I guess if you have never seen one before it might be thrilling. This would be a great history experience in like 100 years. It is kind of a humorous idea even if it is pretty boring. It is a great trip back in time I guess. You are there, playing a Game Boy. Only you are not. Yeah, it is weird, but I like it. Maybe next he can show kids how old stuff like walkmans were used and how VCRs worked. It is a tech museum that you can wear.